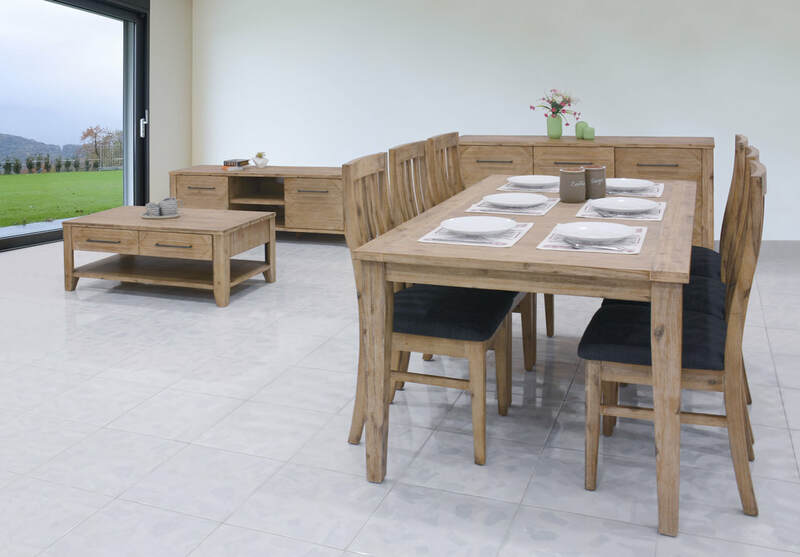 This stylish modern range features quality brushed Acacia timber with parquetry details. White solid timber frame with rough sawn natural stained timber feature on the top. Turned legs gives the table a distinctive style. This stylish contemporary design is great for entertaining. The York table extends from 1500L to 2500L in 2 simple movements. A must for the larger family. Made from solid Acacia hardwood timbers. Featuring 3 different textured panels show casing contrasting colours or finishes. 2 sizes available. W1900 x D1000 x H770mm. 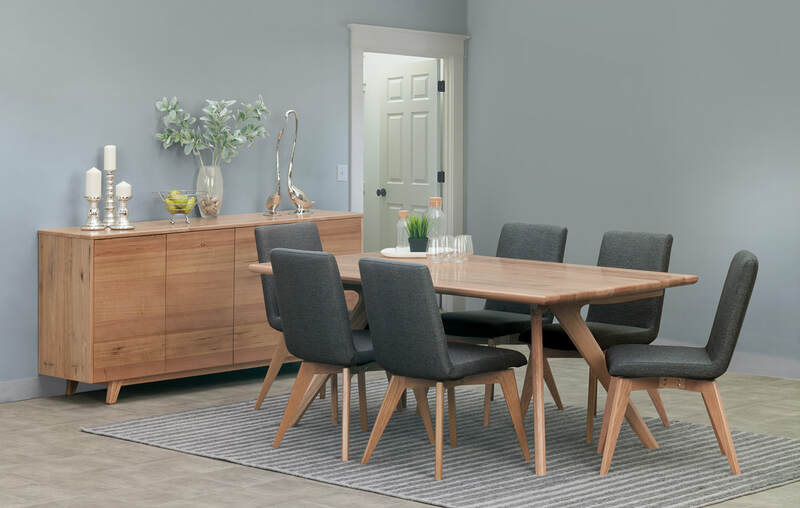 This modern dining setting is made from quality clear lacquered Tasmanian Oak timber table with stylish Manhattan upholstered dining chairs. It is available as 7, 9 or 11 piece setting. ​Provides a lasting and solid furniture choice. Its rustic charm is only matched by its quality and will make a fine addition to your home. Available as a 7 or 9 piece suite. This unique range features a dark grey painted frame with reclaimed timber table top. Modern design made from quality Acacia timber. This range is characterised by its rough sawn timber panels and brushed finished. Setting consists of a 1800mm table 6 dining chairs. Also available as a 9 piece setting. ​Classic style never gets dated. Constructed from solid timber and finished in a dark natural timber stain. This beautiful dining setting is made from reclaimed timber and provides great country look. BENOWA 2 Tone 5 Piece Extension Dining Suite. Classic style dining suite also available in Antique Oak. Table size when not extended 1070 diameter round. Need extra room? Table extends out to 1520mm x 1070. Solid timber construction with a industrial rough sawn texture. Modern 1400 glass top and slimline legs. Choice of chair colours available. 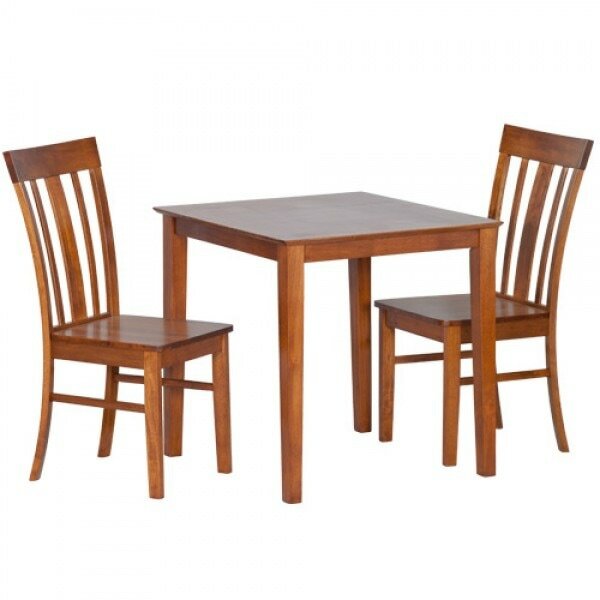 ​Made for small spaces, the Whitehall dining table and chairs is a budget but sturdy solution. Ready to assemble.